A pharmacy technician works under a pharmacist’s supervision to assist with activities not requiring the professional judgment of a pharmacist. Before taking up the role, you need to acquire a broad knowledge of pharmacy practice along with techniques for dispensing, ordering, stocking and preparing medications. Maryland’s state approved pharmacy technician training programs prepare students for the entry-level position to work alongside licensed pharmacists. Today’s pharmacists rely heavily on pharmacy technicians to keep up with the growing consumer demands. The lower salaries and wide scope of activities are just some reasons for the positive outlook for this career as employers seek to control health care costs. 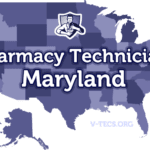 Any non-registered individual working behind a pharmacy counter and anyone applying for work as a pharmacy technician must register with Maryland’s Board of Pharmacy. This requirement applies to individuals working at retail pharmacies, hospital pharmacies, and pharmacies at nursing homes, assisted living facilities and other health facilities. Pharmacy technician candidates may work at a pharmacy while attending a board-approved training program as long as the program does not exceed 6 months. Employers have the responsibility to verify a prospective employee’s standing with the Board before hire. The Board maintains two listings; a list of pending applications and a list of registered pharmacy technicians. Applicants for registration must provide proof of completing a board-approved training program, including 160 hours of work experience and the state certification exam or certification from a national pharmacy technician program. Students enrolled in pharmacy degree programs can apply for exemption from training with the submission of transcripts from an accredited school of pharmacy. Pharmacy student applicants must complete the student exemption form and an affidavit of enrollment from the pharmacy school. Applicants must be at least 17 years old for pharmacy technician registration in Maryland. 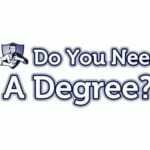 All applicants for registration must submit proof of high school graduation or GED. High school students may apply for registration with a supporting note from a school counselor and pharmacist. Applicants must submit a Criminal History Record Report from the Criminal Justice Information System (CJIS) along with the application. The Board will not process the application without the criminal history report. Disqualifying felonies will impair your ability to register as a pharmacy technician. Maryland’s Pharmacy Technician Certificate programs prepare students for entry-level employment by teaching knowledge, technical skills and best practices for working in a retail or hospital pharmacy setting. Programs include classroom instructions as well as 160+ hours of work experience in a local retail pharmacy, hospital, assisted living facility or pharmaceutical facility. After covering topics, such as pharmaceutical calculations, pharmaceutical terminology, prescription medications, ethics of pharmacy and others, graduates will understand the basic aspects of pharmacy, including how to read, fill and distribute prescriptions. Graduates will also understand pharmacies’ legal responsibility to maintain accurate records and safe handling of various drug categories. Graduates of state-approved programs are eligible for state registration and can also apply to take the National Pharmacy Technician Certification Board (PTCB) exam for national certification. Pharmacy technician programs cost an average of $1,200 for classroom and clinical experience at institutes like Prince George Community College. Other schools such as Fortis, charge $14,647 for a 36-week training program. Advertised costs are for tuition only and does not cover necessary expenses like textbooks, course materials, uniform and transportation to and from the clinical rotation. Other costs include a criminal background check, application fee, national exam costs and state registration. The duration of Maryland’s pharmacy technician programs is approximately 6 months. Maryland’s Board of Pharmacy acknowledges both the PTCB and ExCPT exams. The Pharmacy Technician Certification Exam (PTCE) is administered by the Pharmacy Technician Certification Board and gives successful candidates national certification. The PTCB is a widely recognized body, but there’s also a growing acceptance for ExCPT certification among Marland’s employers. There are similarities in the exams administered by both organizations. The PTCE is a computer-based exam that tests candidates’ understanding of nine knowledge domains. The exam contains 90 multiple-choice questions (80 scored and 10 unscored). The test costs $129. The Examination for the Certification of Pharmacy Technicians (ExCPT) is the other recognized national certification for pharmacy technicians. The 2-hour long exam contains 120 multiple choice questions. At a cost of $105, the application for the ExCPT exam costs slightly lower than the PTCB exam. Aspiring pharmacy technicians can submit an application for registration with the Board of Pharmacy after completing an approved training program or a national certification exam and a criminal background check. Along with the completed application for registration, you must submit your criminal history record, passport sized photo, copy of your state ID, proof of board approved training, high school transcript, and the $45 application fee (check or money order). Note: The Board will keep the application open for one year from the date they acknowledge receipt. If you fail to meet all the criteria for registration within the one-year period, you must resubmit another application, fee, and accompanying documents. Your pharmacy technician license is valid for two years, from the first day of the month after your birth month and ends the last day of your birth month. The renewal process takes at least two weeks, so you should initiate the renewal early – as incomplete applications can cause your license to expire. If the license expires without notice of successful renewal from the board, you cannot practice pharmacy until the license renews. Pharmacy technicians must complete 10 Continuing Education (CE) hours during the first renewal cycle and 20 CE for subsequent cycles. To renew your licenses, submit the completed application along with the CEs earned and the $45 renewal fee to the Board of Pharmacy. 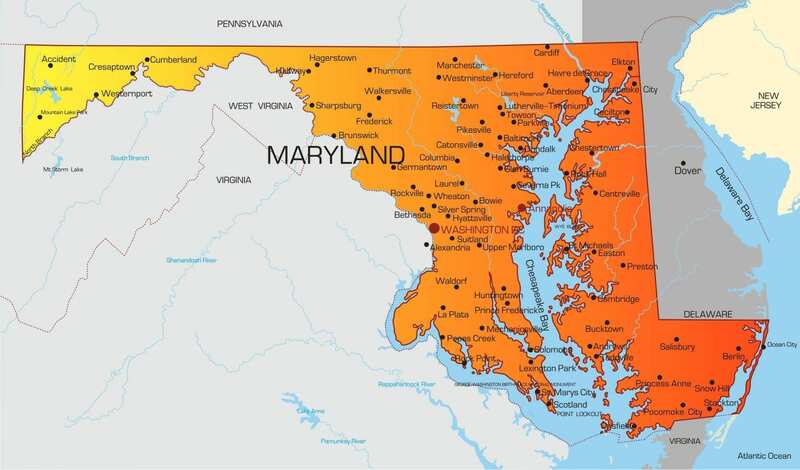 Pharmacy technicians from other states can apply for registration in Maryland through reciprocity. The applicant must submit evidence of registration from the other state – requirements must be similar to Maryland’s requirements. The Board also requires a letter verifying good standing with the out-of-state Board. 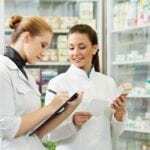 For states where pharmacy technicians are not regulated by a Pharmacy Board, the applicant must submit a Pharmacy Work Experience Affidavit signed by a pharmacist under whom the PT worked for at least six months. ​Correct Rx Pharmacy Services, Inc.